Drug manufacturer Hovione has opened a new spray drying facility in Loures, Portugal, for potent active ingredients. Marco Marques, head of production, describes the safety protocols. 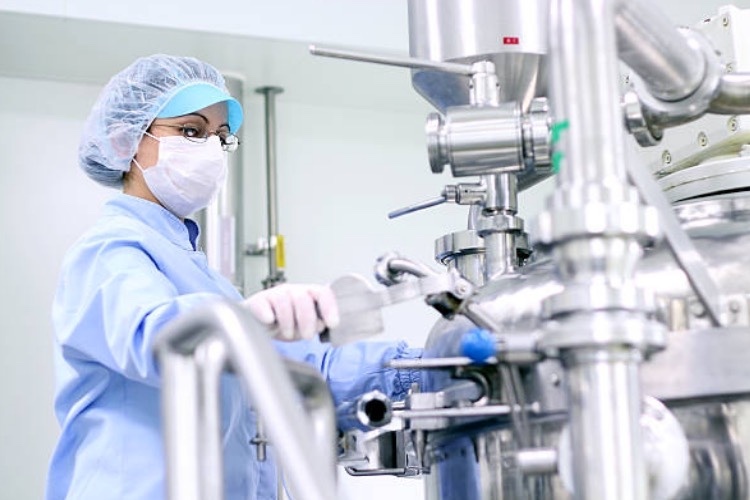 Pharmaceutical contract manufacturer Hovione has recently received a significant number of new spray drying projects with special containment requirements. The company’s answer to this market demand has been to install a new spray dryer unit in a dedicated manufacturing suite at its headquarters in Loures, Portugal. The facility design allows the handling of potent compounds up to class III, according to independent health & safety consultant SafeBridge, and it complies fully with good manufacturing practices (GMP) as required by international drug authorisation bodies. 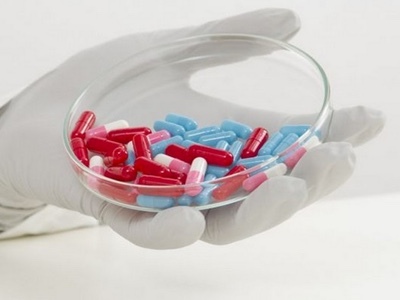 The design of such as facility needs to ensure there is no product contamination and that personnel are also protected from the highly potent materials. As a result, there were three major aspects to the project design: the building, the equipment and the powder handling, each of which is described in turn. The production area can be be accessed only through an airlock system. There are two independent entrances – one for materials and the other for personnel. Personnel wishing to access the production area enter through an airlock where full gowning takes place and only then can they proceed into the production area. 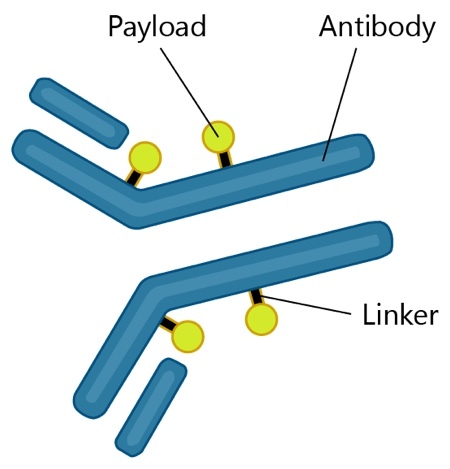 The same airlock cannot be used, however, to exit the area. 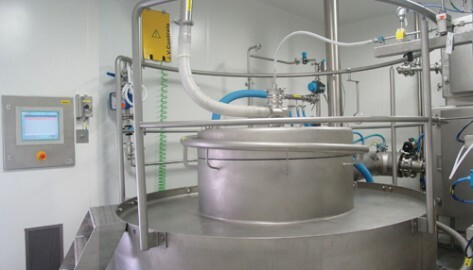 Two other options are available: where there was no contact with product, personnel can leave via an airlock where they can remove gowning equipment and exit the area; where there was product contact, the exit is through a water shower, which guarantees full decontam-ination prior to exit. All process rooms are kept at negative pressure in comparison with the airlocks and the airlocks are kept at negative pressure in comparison with the corridor. This pressure differential profile set-up avoids any release of product from the production area – should any release occur, further measures are in place to prevent it spreading. The suites have their own dedicated HVAC system, incorporating HEPA filters. Through-out the installation, breathing air plugs are accessible to operators that enables free movement throughout the entire production area with a breathable air supply always on hand. The spray dryer installed is a GEA Niro Pharmaceutical Spray Dryer size 3 (PSD3). This unit dries both aqueous and solvent feedstocks and is equipped with two atomisation systems (two fluid nozzles and pressure nozzles). The main differences between a regular PSD3 and this unit, which allows the handling of potent compounds are: • the capacity to operate under negative pressure in the powder circulation areas, thus preventing any powder exposure in the case of a leak in the equipment. • the use of HEPA filters: one filter in the nozzle cooling line, one filter in the drying gas inlet, two filters in the outlet (all of them are bag-in bag-out). This feature permits the replacement of the HEPA filters in closed containment. • the equipment is configured to be cleaned-in-place (CIP). There are multiple spray balls, located in strategic points that guarantee full coverage of the equipment internal surface where there is powder circulation. This feature has a double advantage: firstly, ensuring full coverage of equipment’s internal surface makes the cleaning process easier, faster and more reliable; secondly, if the equipment needs to be opened with product still inside, it is possible to wet the equipment and open it without creating dust, which decreases significantly any risk of exposure to the product. In contrast to a traditional facility, where the equipment operation is carried out from a control room, this facility is equipped with local Human-Machine-Interface (HMI) stations that allow equipment operation from inside the suite. Traditionally there would be one operator in the control room with a couple of additional operators in the production area. With this new configuration, the operations can be performed by any of the operators in the production area without the help of the control room. In terms of safety, the most critical operations when handling potent com-pounds are the ones involving dry powder. It is during these operations that the probability of exposure to the product is highest, therefore it is crucial to evaluate these operations with special caution. 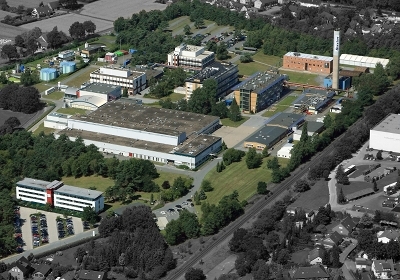 In this facility there are only two operations involving dry powder handling: loading the raw materials into the reactor (reactor charging system); and collecting the dry product from the spray dryer. For both situations, Hovione found the same solution in the form of flexible disposable isolators, which were custom made and supplied by Containment Service Providers to match the equipment dimensions. 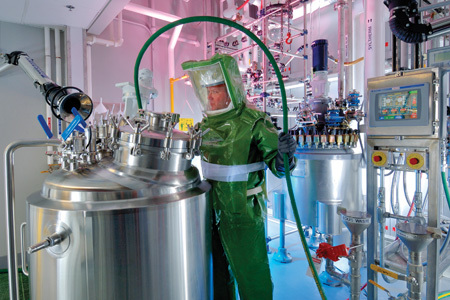 This flexible containment solution ensures containment up to 1µg/m3 (which meets SafeBridge class III) and therefore it is the primary containment barrier, providing protection to the operator from powder exposure, as well as protection for the product from the surrounding environment. However, containment is not the only advantage of this system. These isolators are disposable, which is a great attribute when taking into account that potent com-pounds have very high requirements in terms of cleaning and cleaning verification. Not having to clean and simply dispose of the isolator is a trem-endous gain both in execution time and cost. Furthermore, this solution is flexible and in comparison with the traditional rigid isolators allows the operator more freedom of movement and therefore makes the operation more comfortable for those executing it. An additional feature of these isolators is that they can be sterilised by gamma irradiation, thus will be adequate for aseptic processing. They are equipped with a fan for pressure control, and a gas filtration system using nitrogen provides an inert atmosphere. All operators are equipped with special chemical protective suits that are equipped with a breathable air supply and internal positive pressure. This suit, specifically designed to handle hazardous products, acts as a secondary containment barrier. 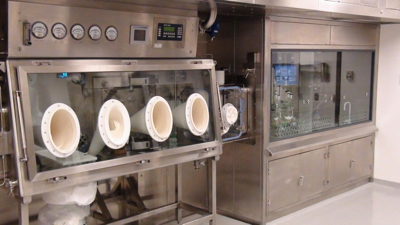 With its state-of-the-art facility, Hovione can offer customers a multi-purpose, fully GMP spray drying unit capable of handling highly potent compounds.